"Allison is a unique creation in modern detecting, a woman who chose a life in the wilderness who nevertheless feels compelled — and believably so — to assist in the untangling of the criminal plots that arise on the edge of civilization. Her adventures, though fictional, present an authentic portrait of life out in the present-day Colorado Rockies in all its complicated glory." 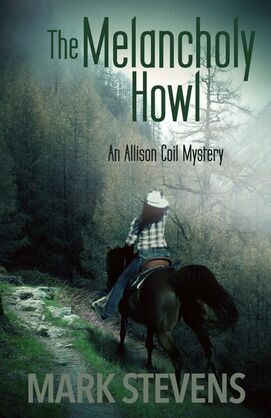 "The fine writing ... makes The Melancholy Howl more literary than mystery series and an absorbing read, even if this is your first Allison Coil mystery." "As the series has progressed, Stevens has incorporated current events that give his page-turning yarns some real-world teeth." "A mystery man tied to a tree, a downed plane, a local journalist with his ethics compromised, a back-to-nature enthusiast gone missing — 'The Melancholy Howl' navigates through a maze of story lines with Stevens’ usual adeptness and crisp dialogue." "The author masterfully illustrates many of the complex issues around legalized marijuana and the gray swamp between legal and illegal, inhabited by productive beavers and deadly water moccasins alike. From beginning to end, The Melancholy Howl is a well-written, riveting, gotta-see-what-happens-next read. So, whether this is your first Mark Stevens novel or your fifth, it most certainly won’t be your last." "In The Melancholy Howl, heroine Allison Coil sheds light on the dark side of Colorado's marijuana industry, while author Mark Stevens delivers plenty of outdoor action and smokin' hot suspense." "Stevens masterfully weaves his story back and forth, building narrative tension every step of the way—until you have to know how it all ends. His best book yet."